Verizon’s LG Optimus LTE2 to be Called Spectrum 2, Eight Months Later and We Already Have a Sequel? Yep, there you have it. 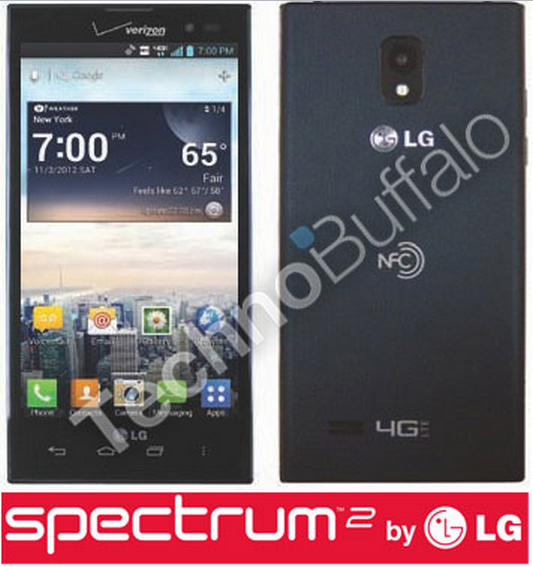 The new Verizon-branded LG Optimus LTE2 will be known as the Spectrum 2. Kind of interesting seeing as how the first Spectrum launched this last January, not even a full eight months ago. From previous reports that we have seen, the device is set to come with Android 4.0.4, 1.5GHz Snapdragon S4, 1GB of RAM, and an 8MP back shooter. There was also a rumored release date of 10 days ago, but clearly, that did not take place. Any LG Spectrum owners feeling a bit cheated by this? Just half a year later and they are ready to introduce a beefed up version of your device that has a better processor and bigger display. It reminds us a lot of how DROID RAZR owners may have felt after they saw Verizon launch the RAZR MAXX.